special forces (SF) unit. The S-13 (shorthand for "Shayetet 13") is considered one of the top-three SF units in Israel (along with Sayeret Matkal (the General Staff Special Unit) and Sayeret Shaldag (the air force special unit)). The S-13 is part of the Navy of the Israel Defense Forces (IDF). 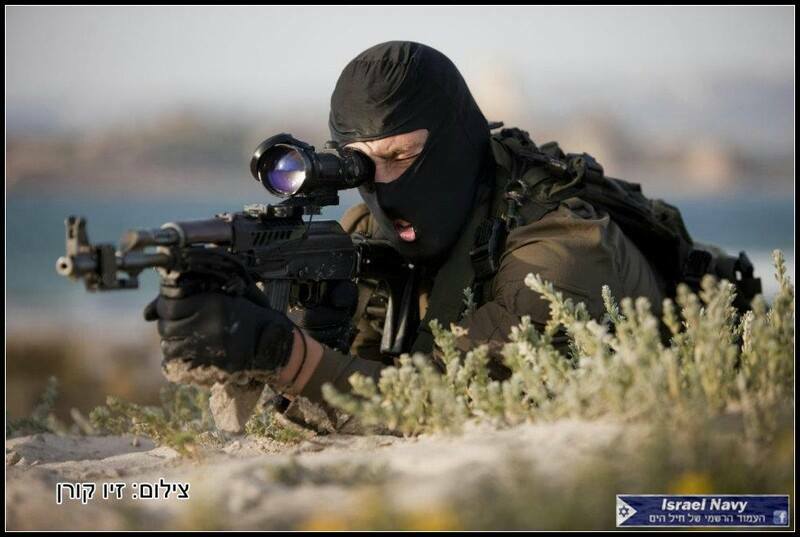 The S-13 is one of the most veteran Israeli Special Forces (Sayeret) units. It was formed in 1949 based upon the Naval Brigade of the Haganah - the Jewish resistance movement during the British regime in what was then Palestine. In the unit's early years, there was a debate in the IDF regarding the need for such unit so S'13 was small and with low budget. 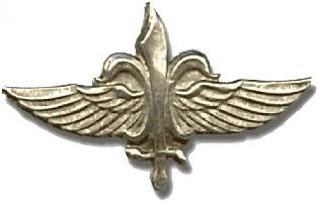 In 1960, S'13 existence was first made public and its operators received their renowned winged insignia rather than a general Israeli Navy insignia worn until then. The breakout of the Israeli-Arab Six Day War in 1967 found the unit under trained. Several of the units' missions during the war failed, the most noticeable one was in May 6 1967, when six operators were captured and taken as POW during a covert mission. S'13 POWs were released more then six months later in January 1968. In 1969 the unit received another blow as three operators were killed and 10 more were badly injured during the Green Island Raid. In the 1970's the unit had undergone rebuilding with more focus placed on sea-to-land incursions and on effective training. 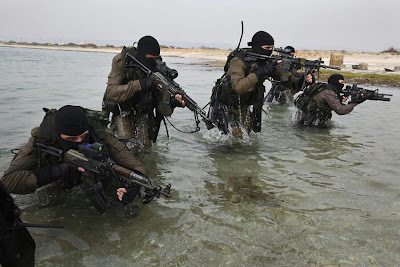 More issues rose with other IDF SF units, which at the time suggested that that S'13 should only provide the transportation to the target and assistance in crossing water obstacles, while leaving the surface warfare to the other IDF SF units. Another problem was that in the 1970's the unit's training guideline was that S'13 operators should master all types of warfare. So all operators learned both advance diving and boats usage, causing a lack of specialization. In addition, all of S'13 training at the time was done internally within the unit, which later led to communications issues with other IDF units. In 1979 the unit was appointed a new CO, Ami Ayalon. After assuming command, Ayalon led a major reorganization in the unit's structure and training regime, which led to an increase in the training commonality between S'13 and other IDF SF units. Once the reorganization was completed, S'13 was larger, better trained and more combat ready than ever before. From the early 1980's the unit became increasingly involved in the LIC in Lebanon, demonstrating an excellent track record of dozens of successful operations each year, without casualties. Typical missions at the time were interdiction of terrorists' vessels, blowing up enemy headquarters and key facilities, conducting ambushes and planting explosives in terrorists routes. In the late 1980's the IDF realized that it wasn't exploiting the full potential of S'13 operators. So S'13 officers were encouraged to assume commanding positions in other SF units. This was especially done in new units, which needed to quickly gain operational readiness. Such units were Sayeret Duvdevan and Sayeret Shimshon, which were formed in the late 1980's and Sayeret Egoz, which was formed in the mid 1990's. All three units were appointed CO and other senior officers from S'13. In recent years, S'13 was heavily involved in the LIC in the Territories. 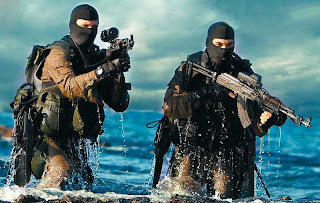 Its operators conducted maritime missions such as interception of terrorists ships carrying weapons and explosives as well as numerous highly complex CT missions. Due to S'13 increased land warfare deployment, the unit now place more emphasis on land based CT and CQB . In recent years, it was discovered that S-13 veterans had high occurrence of cancer, probably due to training in the polluted Kishon River & Haifa Bay. A commission for investigating the matter didn't find statistical evidences that the diving in the Kishon caused the cancer. However, Minister of Defence Shaul Mofaz decided to compensate the divers' families in spite of the commission findings. 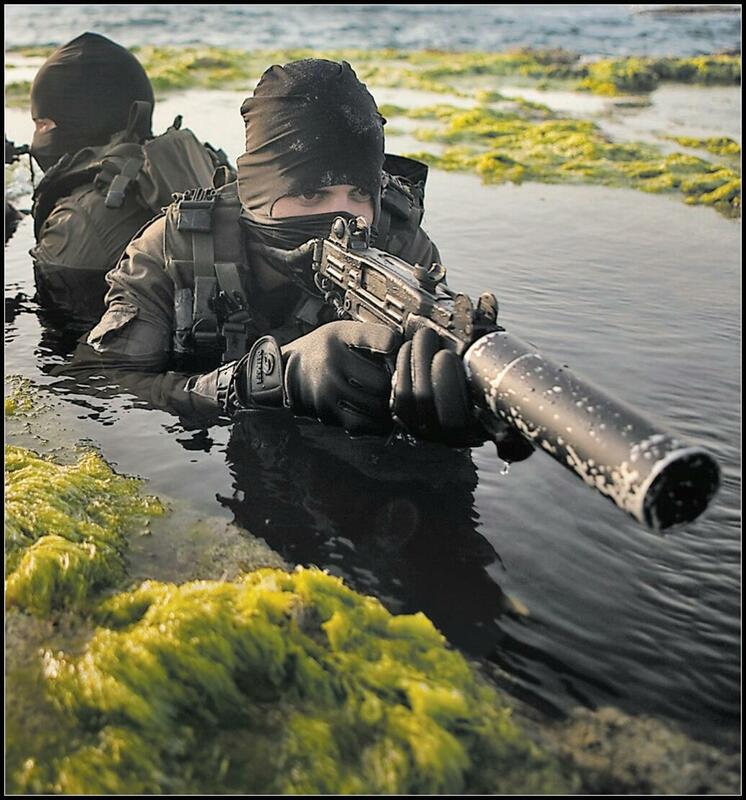 Preparing Phase - lasts three months and consists of advanced infantry and weapons training, basic elements of maritime warfare, operation of small ships, long swims, forced marches and land demolition. Combat diving course - lasts four weeks during which the soldiers learn the basic elements of combat diving such as how to cope with cold, diving in dark and clouded water and how to survive high risk underwater situations (e.g. pressure, depth). Dedicated Phase - lasts almost a year during which the soldiers learn advance diving techniques with closed circuit diving systems, underwater demolitions and weapons and sea-to-land incursions (via diving, ships, submarines and parachuting into sea). 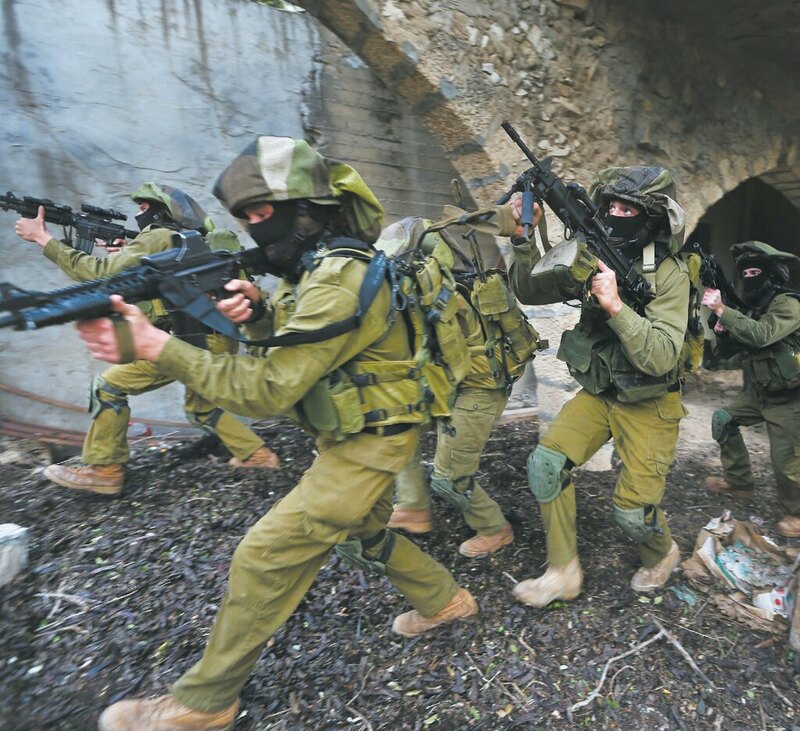 Also included in this phase is a three weeks course in IDF Counter Terror Warfare School. The soldiers then learned how to perform maritime CT operations on ships, oil platforms and near coast buildings. During this phase the soldiers are also divided between the unit's three specialized companies based on their capabilities and personal interest, and train on their future specialty. 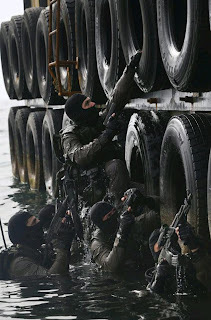 Raids - handles sea-to-land incursions, assassinations, maritime hostage rescue and CT. 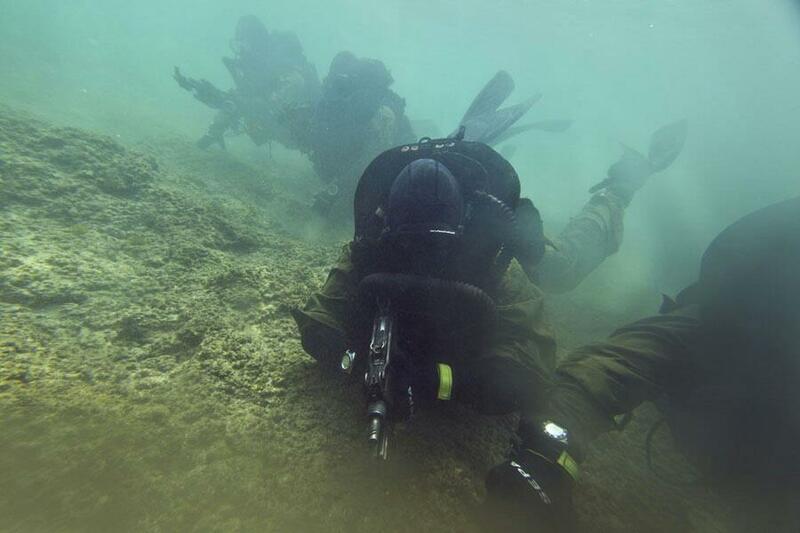 Underwater - handles all underwater missions such as hydrographic reconnaissance (underwater survey of possible landing locations), securing beaches prior to landing, underwater demolition against enemy ships and harbors and maritime intelligence gathering. Above Water - specializes in the operation of S'13 fast attack boats and in cooperation with the Israeli Navy ships and submarines. The Above Water company primary mission is to bring the other two companies safely and accurately to their targets. 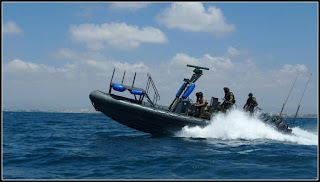 June 1967: 7 Israeli frogmen in Alexandria harbor sank an Egyptian minesweeper and were captured.Between the 1967 and 1973 wars, Squadron 13 performed about 80 missions.21 July 1969, Operation Bulmus 6: Ze'ev Almog with 20 frogmen attacked Green Island at the south end of the Suez Canal, where Egypt had garrisoned artillery. All artillery was destroyed. Many surviving Egyptian garrison men were killed by their own side's shore artillery which fired too late. Info also from.1973: Operation Spring of Youth "Aviv Neurim".1973: (Yom Kippur War): Finding and destroying several Egyptian torpedo boats with limpet mines, clearing the way for an Israeli armored force landing in Egypt the next day. Squadron 13 used see sleds and spent nearly 20 hours in the water.2002: Capturing the Santorini arms smuggling ship.2002: Capturing the Karin A arms smuggling ship.2002: Capturing the Abu-Yusuf arms smuggling ship.2006: A nighttime raid on Tyre targeting the Hezbollah cell responsible for a rocket attack on Hadera earlier that day. During the al-Aqsa Intifada that lasted from 2000 until 2005, the S-13 soldiers decided not to limit themselves to naval operations and took part in ground counter terror operations deep within the West Bank and the Gaza Strip. 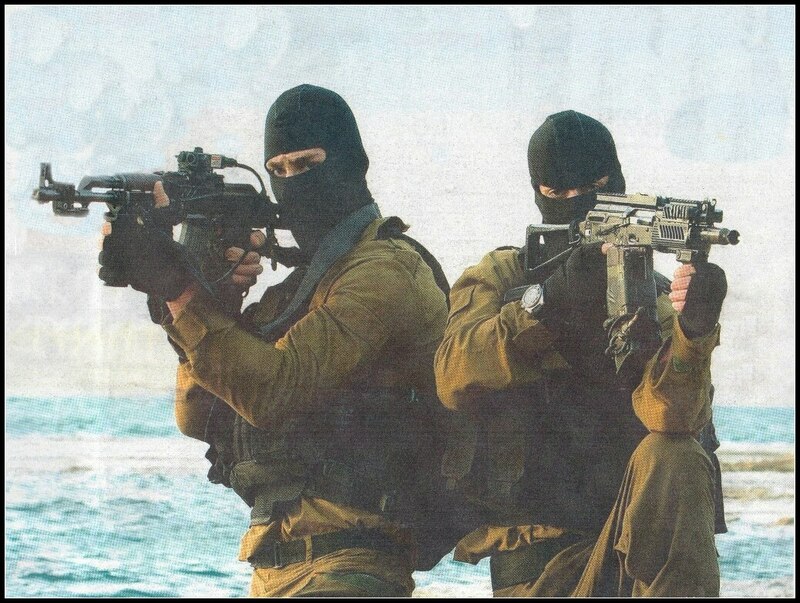 The S-13 has performed hundreds of operations, including the arrest and/or killing of many militants of the Hamas, Islamic Jihad and the Al-Aqsa Martyrs' Brigades, considered worldwide as terrorists due to their involvement in suicide bombings. price: in the current conflict the Shayetet lost five of its fighters. 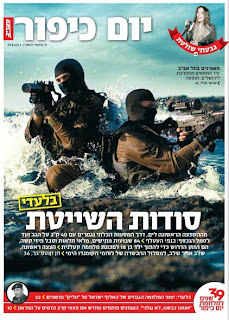 >Within the IDF (Israeli Defense Force) Navy exists an elite unite of commandos known as the Bat Men. 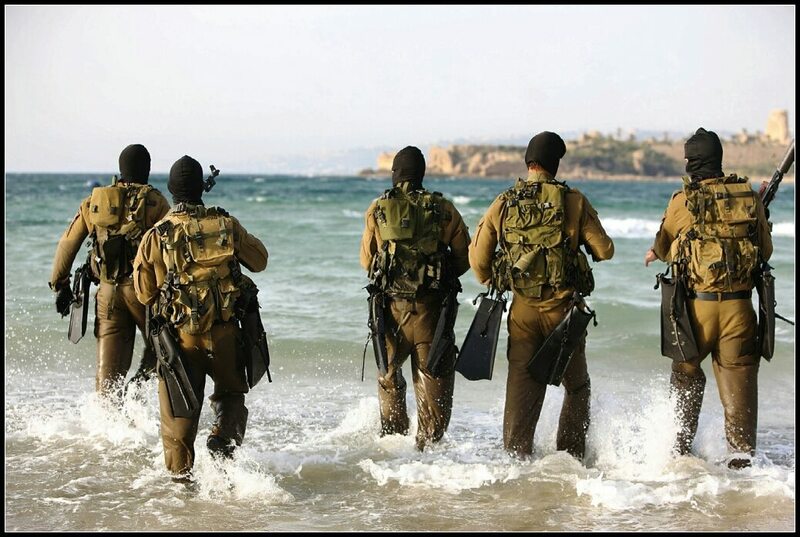 Their official name is Shayetet 13, or Flotilla 13, and they are responsible for the IDF Navy's Special Warfare capabilities. 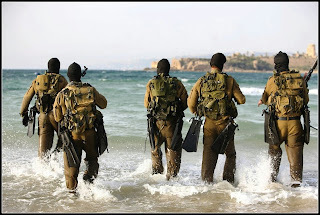 Flotilla 13 can trace it's roots back to the birth of the Israeli nation, and in their service they have managed to carve an international reputation as one of the best, if not most experienced, naval special warfare units in the world. Israel's Naval Commandos under go a rigorous selection phase like most other elite units. In the case of the Naval Commandos, however, the initial selection phase stresses psychological toughness and tests hopefulls in their ability to take and operate under stress and fear. There is not a big push to weed out those unfit for the unit quickly, the training process is long and hard, with plenty of time for those who don't quite match up to move on to other units. In all, a potential Shayetet 13 operator will have to undergo almost a year and 8 months or training before he can pin on the coveted crest of the unit. After the selection phase, trainee's attend the IDF's Bislach (infantry school) for two-and-a-half months of advanced infantry training. Following completion of this school, they next are sent to a 3 week HALO HAHO school to learn the foundation of parachute ops. Following this school the trainees are asigned to Atlit Naval Base to complete their training, receiving their underwater and counter-terrorism training at this point. The Naval Commandos have a wide range of weapons to choose from, ranging from small arms to fast attack boats. The basic weapon carried is the American M-4/M4A1/M203 assault rifle. Members are also expected to be proficient with the AK-47 as these are the main rifles of their adversaries. If heavier power is needed the Negev 5.56 light machine gun is provided. For underwater sabotage missions, each diver can carry a limpet mine to attach to the hull of enemy watercraft or docks. The commandos ride to locations in zodiac inflatibles or the larger, faster Snunit fast attack craft. From the beginning, the Israeli military has been a different breed. 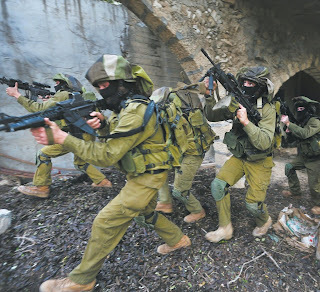 Lacking the funds and raw manpower to fight pitched battles with large standing armies, the Israeli military has been forced to use tactics and cunning to fight numerically (and often technologically) superior opponents. Shayet 13 members reflect this; many of their missions took place with newly created equipment or weapons. The Israeli State was created in May of 1948 after Britain gave up its efforts to maintain the Palestinian region as a British Colony. However, the roots of the nation and its armed forces date back to the early 1930's when Adolf Hitler's government began to actively persecute German Jews. They began fleeing the country, some to America, and some to Palestine in the south. In an effort to placate angry Palestinians the ruling British government came up with the "White Paper," a cap on Jewish immigration into the area. Rather than doom their fellow Jews to Hitler's government the Palestinian Jews began to smuggle them into the country past British Blockades. At first the British government fought the smuggling operation, but with the outbreak of WWII attention and manpower shifted elsewhere and then later came a need for additional forces. The Royal Navy considered the Israeli's to be thieves and pirates and would not have anything to do with them, but the newly created SOE recognized their talent and began to recruit and train Jewish blockade runners. 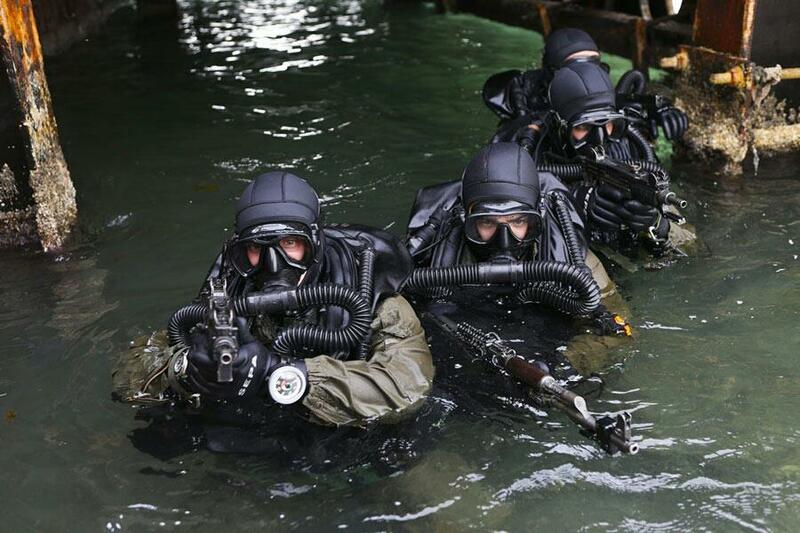 Eventually, a 40-man unit of Jewish combat demolitions divers was created under English leadership. Eager to expand their operations and gain skills they could use later on, the Haganah (the Jewish underground army that existed to help create the State of Israel) created the Pal'Mach, or "Strike Companies" in May of 1941. Their successful operations caused the need for them to grow and the forces expanded to include a small air force and Pal'yam, or Sea companies. In the beginning the Pal'yam was a group of commandos; the Israelis had no surface ships to speak of. The members had no funding, so they had to be resourceful to get equipment. For example, to prevent the cold Mediterranean sea waters from quickly incapacitating then, swimmers wore sweaters and pants soaked in grease and chicken fat to act as insulation. Later swimmers would cover themselves in thick grease to ward offthe chill; an partially effective technique that was much harder to take off than put on! By 1943 the tide of the war was turning and the British lost interest in help from the Haganah leadership and soldiers. Recognizing that with the end of the war, Britain would turn its attentions to the Palestine region again the Haganah kept their forces alive and continued training them for an eventual conflict. By the end of WWII over 6 million Jews had been killed in Nazi Germany and the survivors needed a new place to settle. More interesting in keeping their empire than helping the survivors, Great Britain denied entry to Palestine for Jewish survivors. Realizing that the British weren't going to help them, the Palestine Jews began a large smuggling operation designed to take the survivors around legal channels. The British took exception to this and started a massive blockade. Israeli ships were stopped and boarded, with their crew and any passengers being sent to internment camps in Cyprus. The conditions in the camps were horrible, and in anger the Haganah ordered the Pal'Mach to take action. In a raid planned by Yitzhak Sadeh, the founder of the Pal'mach, two swimmers entered the water at Jaffa Harbor, south of Tel Aviv. Finding a blind spot in the English sentries and spotlights, the two swimmers affixed home-made mines to the hulls of two British patrol boats. They safely exited the water and reported their success to their supervisors. The next morning a radio report confirmed that two patrol boats had been destroyed the night before. Pleased with the success of the raid, a small unit of soldiers in the Pal'Mach was formed and began training to operate as water-borne guerrillas, sabotaging English ships and supplies behind their lines. Increased tensions between the Fledgling state and the British brought more ships and an increased resolve on the part of the British to stop the smuggling of refuges. The strengthening of the blockade worked and by summer of 1946 nearly 20,000 refuges were interned in Cyprus. The Haganah realized that to take pressure off the small fleet of smuggling vessels they would need to decrease the number of British ships operating in the immediate vicinity. The best way to do that was to make them keep more ships at their bases, and fear of attacks on their bases would cause the British to keep more forces there to guard against raids. Seeking to open a small area in the blockade, the Haganah had ordered a series of Raids on one night in June of 1946. In retaliation for the 13 bridges blown up on that night, the British Naval and Security forces rounded up nearly all of the Haganah's senior leadership and underground units. One of the few that remained intact and undiscovered was the small group of naval commandos. Seeking to undermine British confidence, the unit targeted an ex-US Navy Liberty ship that was being used to move refuges to Cyprus. The first attack, on the night of 21 August, 1946 went well but ultimately failed. Thecommandos, dressed as arabic fishermen, had managed to slip past the British sentries and plant an old WWII limpet mine against the hull of the freighter and get back out again undetected. However, the fuse on the limpet mine was bad and did not detonate, so the Israelis decided to do it again the next night--this time with a locally made mine. This raid started out much the same as the previous night, even though there was increased security. However, by pure luck a vomiting British sailor spotted (literally) one of the two commandos when he surfaced for a lungfull of air. Realizing they had been compromised, the Israeli divers quickly finished fixing the mine to the hull and swam to their motorized dingy. They were chased across the harbor by British launches and finally ditched the shot-up boat and swam silently to shore, unseen by the British crews. Four hours after the mine had been mounted on the hull it exploded, sending the Empire Rival to the bottom of the harbor. The israelis would continue to mount such raids until the end of the conflict. The early comandos also scouted harbors and provided intelligence for other Israeli units. Members posed as dock workers and gathered intel on the British fleet and their stocks. While the work was not as "glamorous" as swimming through frigid waters to attach mines to barnacle-encrusted hulls, it was just as vital to the effort against the British Navy.